Lt. Governor Ray Tenorio provides input on the SRC’s Policies / Standard Operating Procedures during the SRC General Membership Meeting on September 20, 2018. 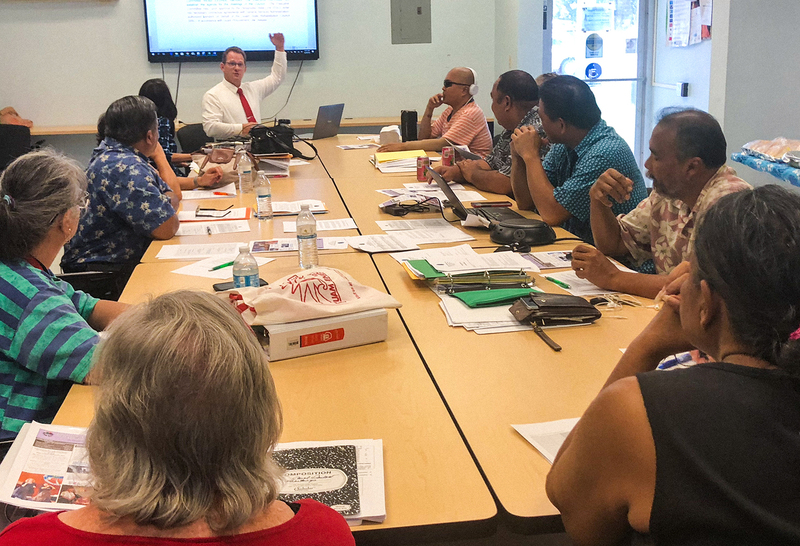 On September 20, 2019, the Guam State Rehabilitation Council (SRC) held their General Membership Meeting at the Guam System for Assistive Technology (GSAT) Conference Room. Amendments to the Policies/ Standard Operating Procedures, Resolutions and SRC Contractual Needs were discussed. In attendance were (Sitting L-R) Benito Servino, DISID Director; Leah Abelon, SRC Outreach Committee Chairperson; Lourdes Ann Mesa, SRC Chairperson; Rodney Calimlim, Member; second row L-R: Gina Arca, Member; Marie Libria, Disability Advocacy Group Representative; Barbara Johnson, Member; Marie Leon Guerrero, Member; Carol Darlow, Parent Training and Information Center Representative; Conchita San Nicolas Taitano, Member; Therese Matanane, Member; third row L-R: Eddy Reyes, SRC Treasurer; Peter Barcinas, SRC Secretary; Sam Ilesugam, Services Committee Vice Chair; and Tim Murphy, State Independent Living Council Representative. 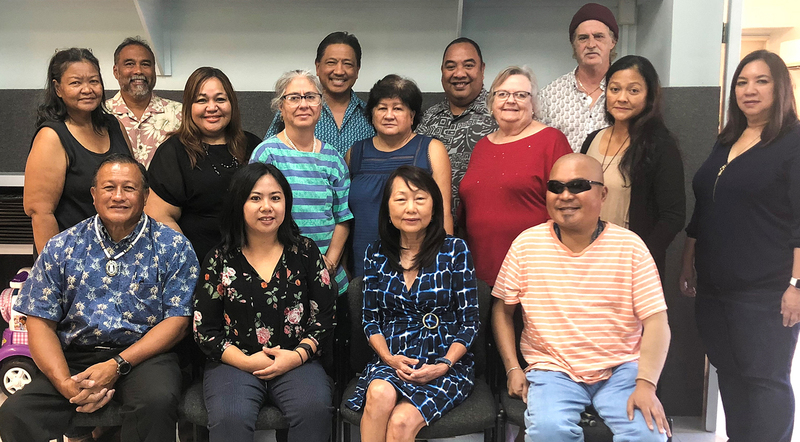 The Guam State Rehabilitation Council provides clients of the Division of Vocation Rehabilitation with a mechanism to influence the direction of rehabilitation programs in Guam at the systemic policy level. During the meeting, Conchita Taitano and Gina Arca were sworn in by Lt. Governor Ray Tenorio as new members of the SRC.